Great time reading from Jazz Moon at the Provincetown Book Festival on September 15. Mr. Jazz Moon in the (virtual) professor's chair! This anthology features a wide array of wonderful and beautiful and diverse gay voices. Pre-order it here. I'm very happy to report that Jazz Moon has won the Publishing Triangle's Edmund White Award for Debut Fiction! I'm excited that I'll be taking part in the Publishing Triangle's Finalist Reading on April 26. My flash fiction piece "Brushstrokes" has been published in the eAnthology Love Stories from Africa. This marks the first time my fiction has been published outside the United States. Me moderating an OutWrite reading event in Washington DC on February 10, during AWP weekend. The reading was hosted by East City Bookshop and featured poets David Eye and Risa Denenberg and fiction writers Craig L. Gidney and Everett Maroon. It was a lovely event and I had a wonderful time. Are You Hep to the Jive? Jazz and Literature in the Harlem Renaissance is a dual talk and concert. 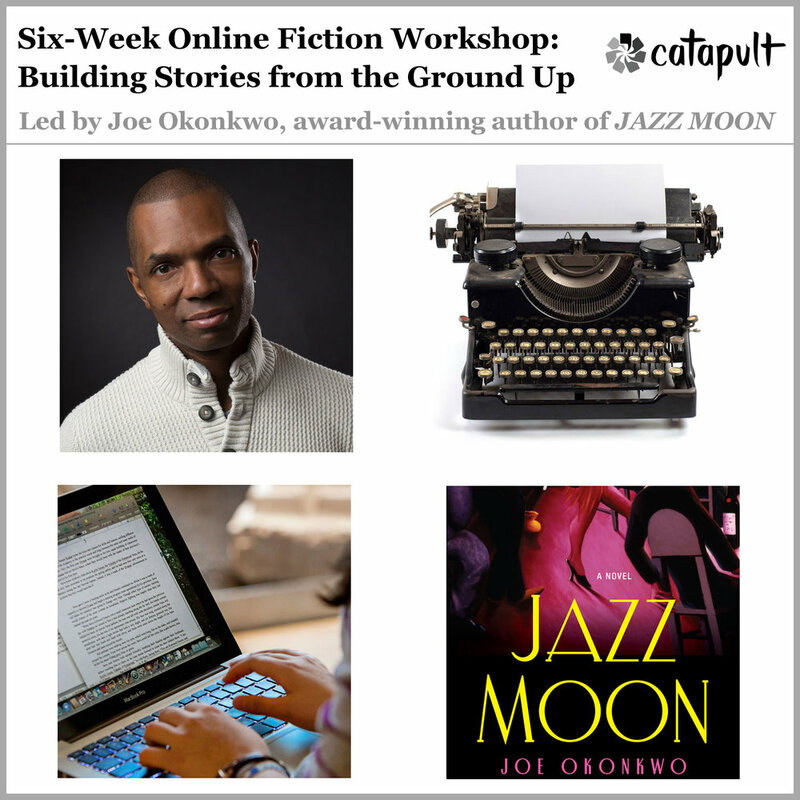 The talk will focus on historical fiction novel Jazz Moon by Joe Okonkwo, and select Harlem Renaissance songs will be performed by pianist Hila Kulik. Guest vocalist Candice Hoyes will perform jazz standards. I'm THRILLED that Lit Hub, my favorite literary website, is running an excerpt from Jazz Moon today. I'm excited to share that my short story "Picnic Street" will be published in The New Engagement some time in 2017! On October 18, I got to read from Jazz Moon at the Risk of Discovery Reading Series in Astoria, my own neighborhood of sixteen years. The series is hosted by Astoria Coffee.